There are over 20,000 hair cells in your ears. These small hairy cells are responsible for your hearing and balance. Even when you lay down to sleep, your ears are busy, picking up the sounds around you. Your hearing is precious and has been with you your entire life. Before we are born we able to hear from inside the womb. Our first sounds are usually our mother’s voice or her beating heart. Also, your mental health depends on your ability to hear well. Personal connections and relationships are built from having quality conversations. There’s a direct link between your capability to feel emotions and the health of your hearing. Car accidents are one of the biggest reasons people have hearing loss problems. Medical attention may be needed if you or a loved one have recently been in any type of car accident. The loud explosion of an airbag or whiplash can cause serious hearing problems. Are you experiencing ringing in ears after a car accident? 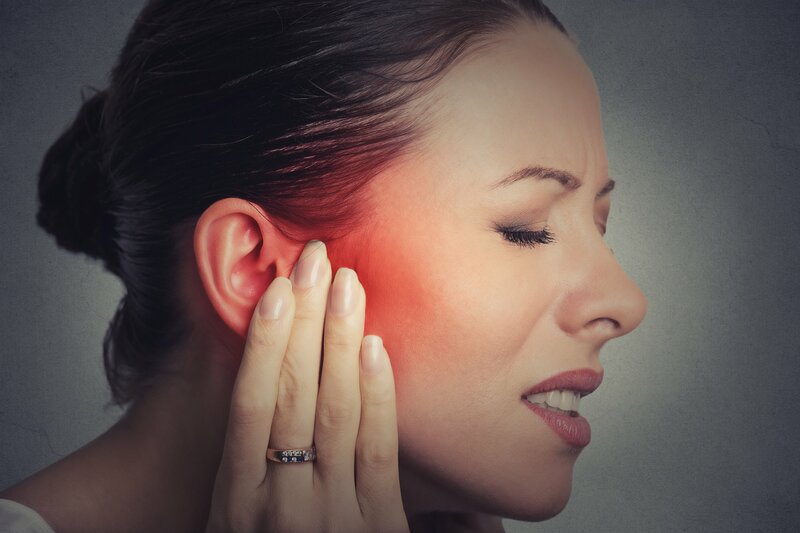 Read on to find out the cause of your ear pain and what you can do about it. The outer ear works hard to hold the sounds that come from vibrations. Your outer ear captures the sound and sends it directly to the middle ear. From there, your middle ear is in charge of making your eardrum vibrate. All three bones together are the “ossicles” Once the middle ear receives the sound vibration, the eardrum begins to move. While the eardrum is vibrating the ossicles are able to start to amplify the sound. The ossicles will multiply the vibrations and help them reach the inner ear. The inner ear has a small chamber called the cochlea. Your cochlea is very small and shaped very similarly to a snails body. Inside, the cochlea contains fluid and four rows of small hairy cells. The small hairs found inside your inner ear are responsible for giving you balance. When the vibrations are large enough, your inner ear hairs send a message to your nervous system. Through the use of electrical nerve impulses, the small hairs can communicate with your auditory nerve. The vestibulocochlear nerve, or auditory nerve, then sends a message directly to your brain. Your brain can quickly decipher the message and experience the vibrations as sound. Next, it’s important to understand the two main types of hearing loss, conductive and sensorineural. First, you have a conductive hearing loss. This type of loss will usually occur if you have an issue with your middle or outer ear. The second type of hearing loss is sensorineural. Problems with your inner ear can cause sensorineural complications. Remember the tiny hair cells found within your inner ear? The small hairy cells, also known as cilia, are very fragile. If your ear’s cilia have damage, the sound will have problems reaching your auditory nerve. Sensorineural hearing loss can be the most detrimental because it’s a type of nerve damage. The cilia can no longer communicate correctly with your nervous system. As a result, the individual who suffers from sensorineural problems will have issues hearing high tones. Around 1973 the first airbags became available for purchase to the public. You probably don’t think of airbags as noisy, but they definitely are. An airbag can deploy with a sound pressure level of 170 decibels or more! That’s an extremely loud sound when you consider that the noise of an entire stadium of people is only around 130 decibels. If you look at a noise level chart, you’ll find 170 decibels is well within the danger zone. When a sound causes you to have hearing problems, it’s called an “acoustic trauma.” Anyone present in the car when the airbag deploys could become a victim of an acoustic trauma. The explosion of the airbag can cause your tiny ear bones to fracture. Your eardrum could also rupture along with a sudden loss in your sense of balance. After the airbag explodes, you could experience an instant discomfort in your entire ear. Other side effects of acoustic injuries include loud ringing and bleeding from the ear canal. There’s a number of different car accidents that could cause tinnitus of vertigo. If you’ve been in a head-on collision, rollover accident or rear end accident, you may be more susceptible to damage. These accidents by their very nature are extremely violent. Next, we’ll take an in-depth look at how tinnitus or vertigo can affect your life. You can experience tinnitus if you’re middle or outer ear experiences trauma. Studies have shown that head injuries, like those in a car accident, are a direct cause of tinnitus. It can be difficult at first to identify if someone is suffering from this ailment. Since there aren’t any diagnostic tests for tinnitus, a health care professional has to look for symptoms. Some of the symptoms you could experience include a deafness to one side of the head. Usually, the deafness will occur on the same side as the ringing. Your physician will be able to identify how much your hearing is experiencing problems. When a loss of hearing reaches or exceeds 4,000 Hz, it’s most likely a type of sensorineural issue. If you have ringing and or deafness in your ear it may mean there’s a tear on one of your nerves. Specifically, the hearing loss could come from a tear on the nerve receptor for your cochlea. Studies show extreme depression or stress can cause tinnitus. To make matters worse, hearing loss has can also to lead to depression. The combination of psychiatric and physical trauma could cause the hearing loss to be more severe. An intrusive ringing in your ear is the most common side effect of tinnitus. Neck damage is the number one cause of vertigo. To understand vertigo, you have to first picture your spine. Your spinal column is full of nerves that speak to your body. The nerves along your spinal cord are proprioceptors. The proprioceptors make it possible for you to move your body when you can’t see. For example, if it’s dark out, or you close your eyes, your proprioceptors will speak to your brain. They’ll help keep you calm and aware of what your body is doing. When you are in a car accident, you might experience whiplash. The force of your car accident causes you to throw your head back and forth. The effects of whiplash might start off as just a headache. Yet, as time goes on, the headache won’t go away and instead will get worse. Other symptoms of whiplash include body pain, heavy arms and back problems. Vertigo is a direct symptom of having whiplash. The proprioceptors in your neck are unable to communicate with your brain. As a result, you’ll experience a great deal of dizziness and a feeling of being off balance. There are two types of vertigo you can have. The first is cervicogenic dizziness and the second is benign paroxysmal positional vertigo or BPPV for short. Cervicogenic dizziness is less serious and is easier to treat. If you have cervicogenic dizziness, you simply have to wait for the neck muscles to repair the damage. However benign paroxysmal positional vertigo (BPPV) requires a different approach. BPPV happens when you move your head violently. Whiplash is one of the biggest contributors to BPPV across the globe. When your head shakes violently about, the inner ear experiences trauma. There are tiny calcium crystals that reside within your inner ear. These crystals are also called otoliths. When your head shakes about the crystals hit against your nerve endings. The nerve endings within your inner ear will then mistakenly tell the brain the wrong body position. The message won’t make sense to your brain and as a result, you’ll feel dizzy and sick. Ringing in ears after a car accident can be a serious problem. If you have ringing in your ears after an accident, Stephen Babcock is standing by to help you.